Leifheit AG commissioned Doenitz Displays & Packaging to develop a promotional display for the Click-System cleaning product line. The display should clearly stand out from the other products on sale, thus achieving a real “WOW!” effect among consumers. It was also important that the size of the display could be adapted to the size of the shop. 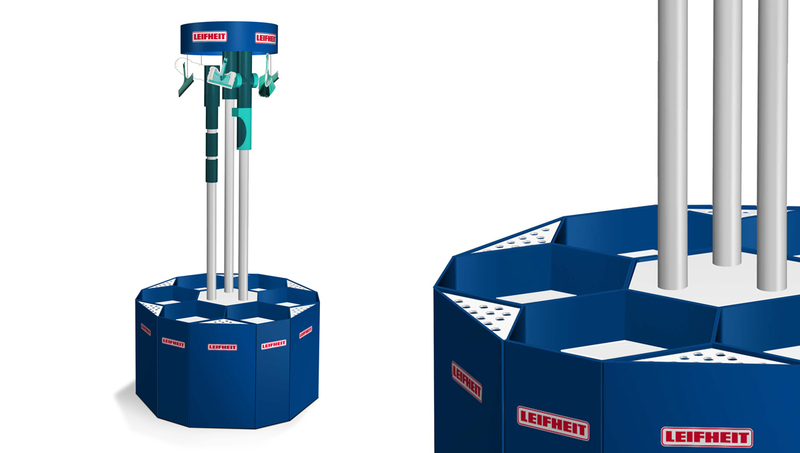 In the Click-System from Leifheit, different functional handles can be quickly and easily combined with different cleaning tools. This uniqueness should be clearly communicated as a selling point. 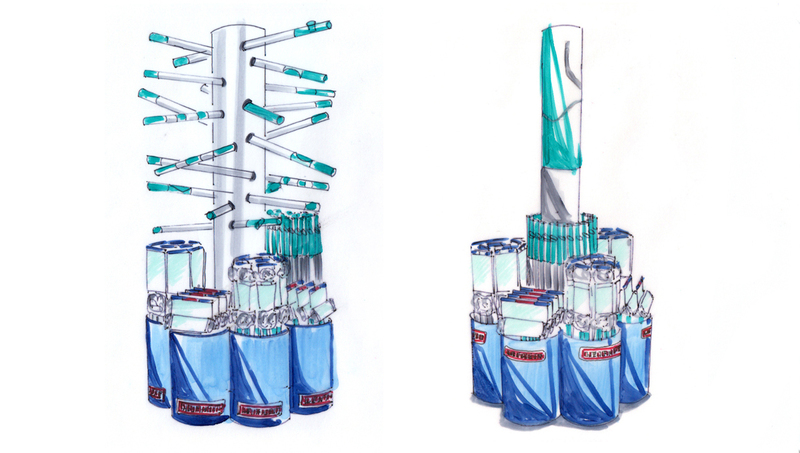 Pictorial representation of the seven handle attachments and the three functional handles was particularly important to the customer. Based on the first scribbles that Doenitz Displays & Packaging came up with, several ideas were visualised as 3D images and an initial prototype in a scale of 1:1 was then developed and presented. 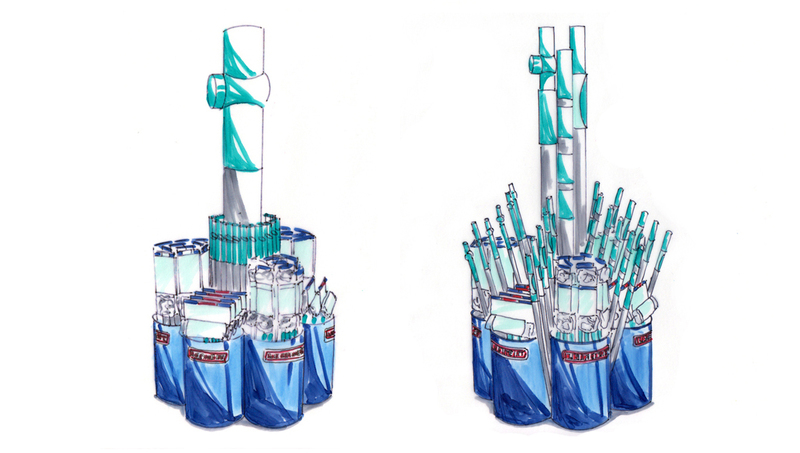 The chosen concept is based on a large, central container into which the different functional handles can be inserted. A large, round topper element with an intricate mobile was positioned on a cardboard tube at a height of over 3 metres. Depending on the size of the store, different containers, in which different products are presented, are placed around the central container. In close consultation with the customer, elements of the promotional display were divided up into different packages and smooth delivery to the individual stores was guaranteed. The displays were assembled at the individual stores by the field sales team. 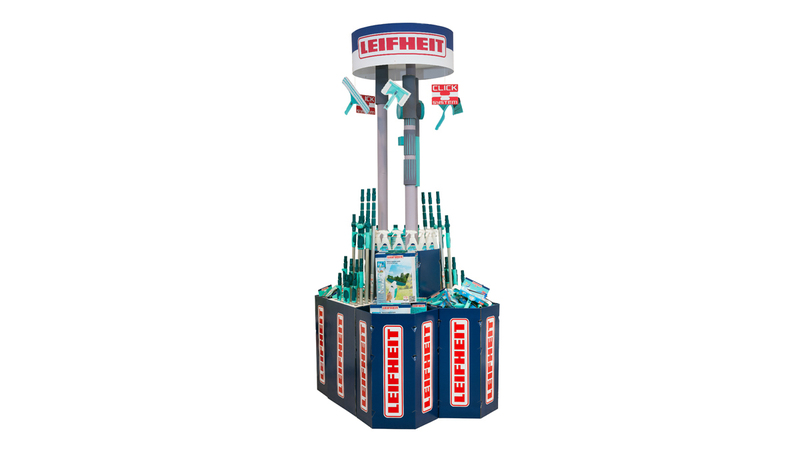 Customers of Leifheit were overwhelmed by the display and would like to see new, exciting promotional displays with a similar “WOW!” effect in the future.